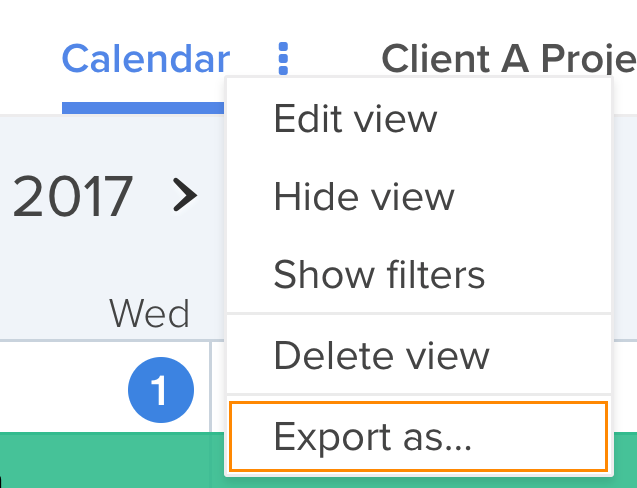 If it is in "Summary view", click the three-dot button to open a drop down and select "Export as..."
It should open a modal that allows you to choose the file format of your export. For most project layouts, the only option available is excel. The excel file will look something like the image below. It lists all the details of each action card in a separate row including the title, project, description, start date, end date, assignees, status, and labels.